Earthquake Advance Warning Finally Developed! Earthquake preparedness has come a long way: no longer can we complain that we, who live in earthquake country, are without the advance warning that others have about impending hurricanes, tsunamis, and volcanoes. Earthquake Preparedness: Is Your Office Prepared? Most of us are at least aware that we should have two weeks worth of food and water as per the Red Cross and others. If you work in an office away from home, you should give some thought as to whether you might be stuck there for a while after a serious quake. If you drive to work and you can walk home, the kit you should have in your car will take care of your needs. If you can’t walk home, you may be waiting it out at your office – a good reason to make sure that the office is prepared for that eventuality. 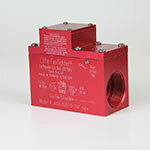 QuakePrepare has now installed over 2,250 automatic gas shut-off valves. If you or your neighbors haven’t yet taken advantage of this (incredibly cheap) insurance to protect your house, email or call me. Still $245 in most locations. 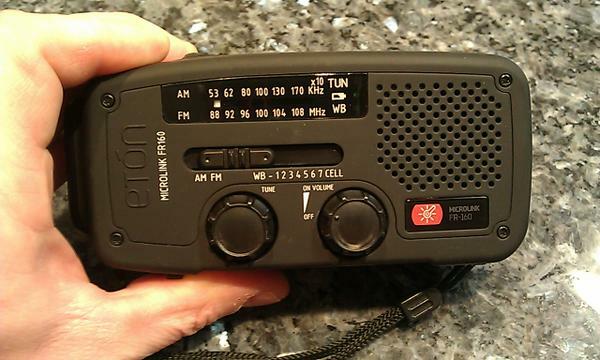 During one of my in-home consults this week (quakeprepare.com/consults), the homeowner showed me the Eton Microlink FR160 radio he had (he bought 3 or 4 of them). I was very impressed and thought I should pass this along to you. It was very easy to crank (uses solar as well), and just a few cranks gave good use of the radio, and it had a strong flashlight beam as well. It even recharges your cell phone. There are a lot of good products on the market, but the price and quality of this one is outstanding. My research showed excellent customer reviews. We’ve now installed over 2,050 automatic gas shut-off valves in the last 10 years! If you already have yours, get your neighborhood organized. The more homes that have them, the safer everyone is. Earthquake Insurance Changes – Helpful or Ho Hum? The CA Earthquake Authority has announced some changes in policy choices, including being able to lower your deductible to 5% and raising your personal property coverage to $200,000. The problem, it seems, is that to take advantage of the changes, it’s going to cost you more. For example: if you live in a one-story home in the east bay, without a completed retrofit, valved at $600,000, to get a 5% deductible policy with $200,000 of personal property coverage, you’ll still pay over $3,000 per year. Do you need EQ insurance? I would never tell folks to drop or not get EQ insurance – that’s a personal decision. I do suggest, however, that in calculating your risk you take into consideration that, historically, we know that houses which are correctly retrofitted are the ones which are much more likely to remain on their foundation during a serious quake. Also, houses which fall off their foundation are the ones which are seriously damaged, sometimes to the point of being a tear-down. If your decision is to forgo EQ insurance, it becomes even more important to have your home correctly retrofitted. In just a few years, in most cases, the money you didn’t spend on insurance will pay for your retrofit. QuakePrepare has now installed over 2,150 automatic gas shut-off valves in the bay area, including doing well over 50 neighborhoods. If you or your neighbors don’t have one yet, let us get you scheduled. In most areas, the standard cost is still $245. Go to https://quakeprepare.com/quakevalves and we’ll get you scheduled for a Saturday or Sunday installation.